Our collection of games like MapleStory offers some of the very best MMORPGs for fans of the 2D side scrolling sub-genre. With constant updates MapleStory has changed dramatically since its first inception in Korea (2003). These regular updates have added new areas, quests, items, classes and much more which has contributed to the games long term success. MapleStory attracts a largely casual audience with its simple, enjoyable and free gameplay. MapleStory relies on simple keyboard and mouse controls and is set in a 2D side scrolling game world. After creating an account and passing the tutorial players choose one of over a dozen jobs (classes) that offer plenty of variety in design and gameplay. 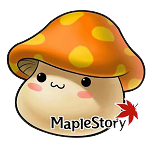 MapleStory is your standard MMORPG experience with quests, further job advancements, professions, crafting and a vibrant economy. The social aspect of MapleStory is also a large focus with parties, guilds, mini games, PvP combat and even marriage. The games like MapleStory found here all have a great massively multiplayer online role playing experience just waiting to be explored. This list focuses on providing 2D based MMO experiences which also means you’ll find that many of these games have lower system requirements compared to their 3D MMO cousins.